Here is one of the last "édicule" (that is an Aedicula - I'm sure you all know what it is ;-), but just in case, here is a link to Wikipedia!) from the famous metro stations designed by Hector Guimard, the famous French architect that was a big Art Nouveau player. I photographed it at Porte Dauphine (the other one is at Abbesses) last Saturday, while it was sunny. It's a real work of art and a definite must see. It certainly does draw the eyes! I like it. 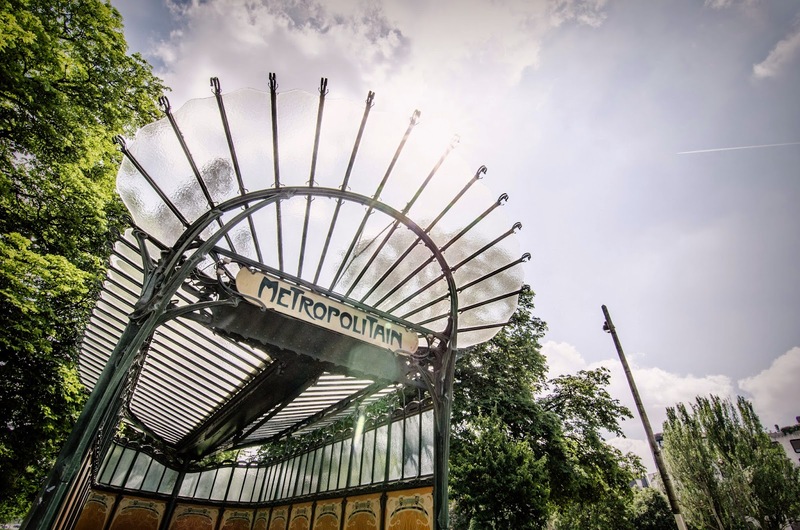 The art nouveau subway entrances of Paris are unrivaled. Gorgeous! Always love the style of this! Art nouveau! Definitely were on my list of what to see in Paris last fall! I'm just glad it's still there! A stunning shot! I haven't yet seen this in person, so I'm thrilled to see it here! I am happy to see that place still there, I be back ! Yes, you really have to see this if you come - and it's easy because all you need is to take the... metro!